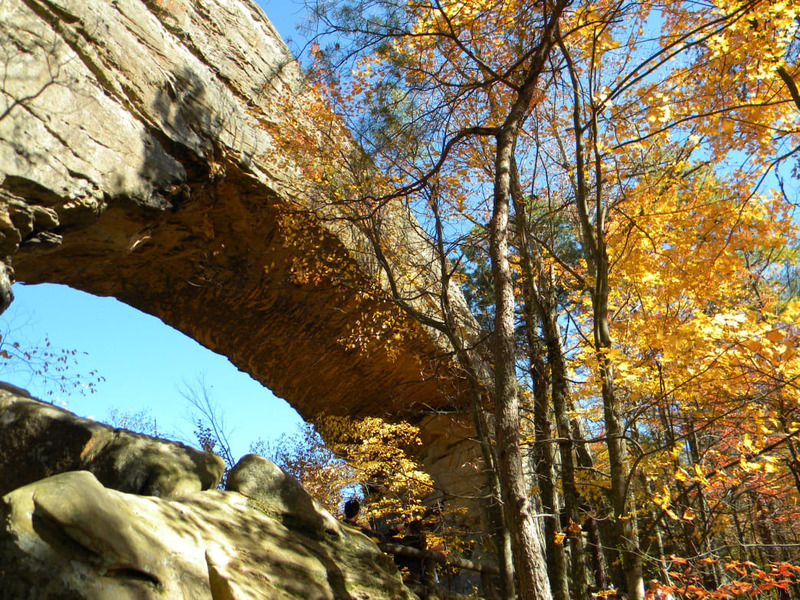 A view of the namesake rock formation at the Natural Bridge State Resort Park in Kentucky. 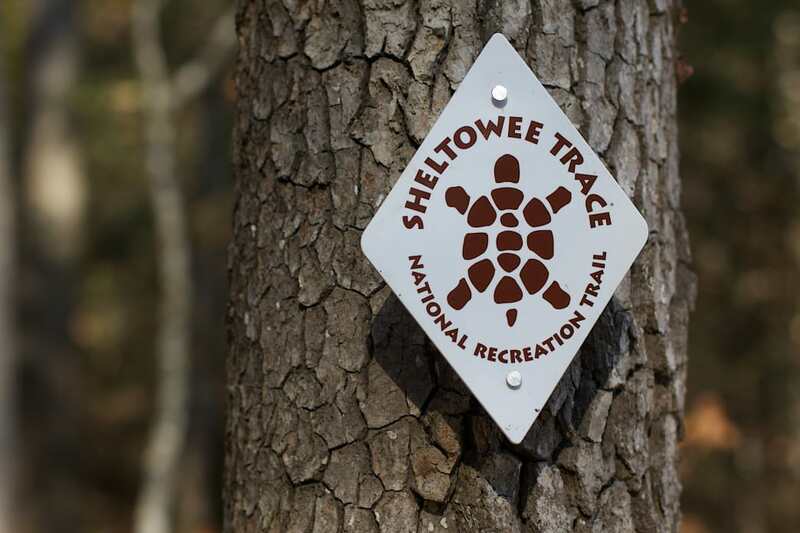 The trail markers on the Sheltowee Trace Trail honor Daniel Boone. 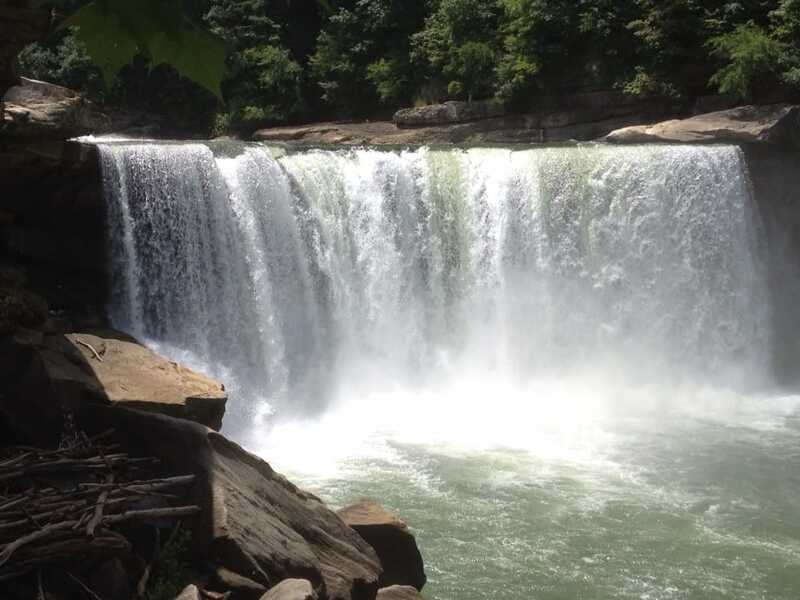 The Cumberland Falls are surrounded by impressive hiking trails. 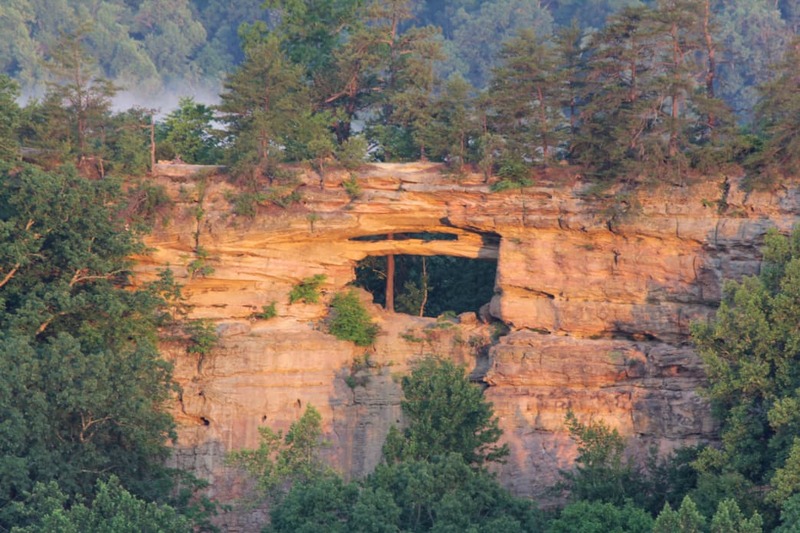 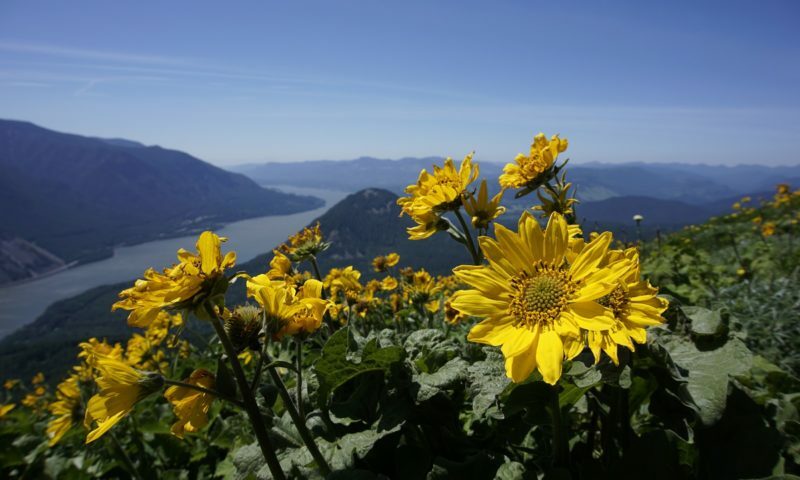 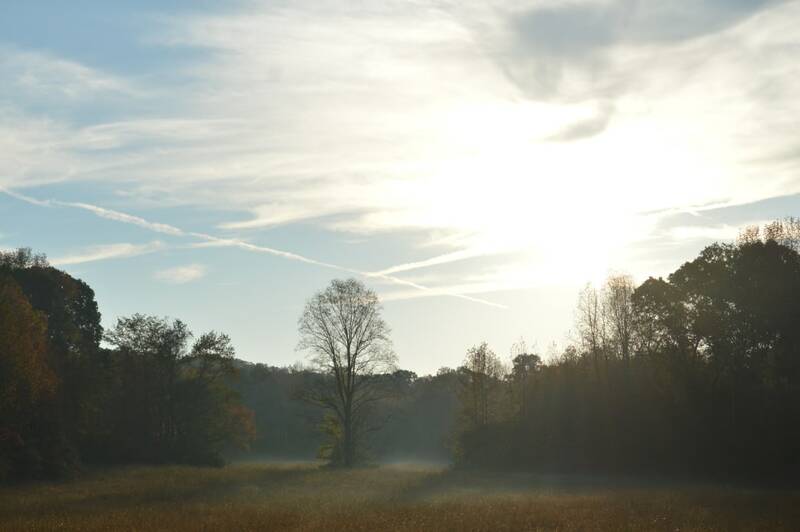 The Land Between the Lakes features plenty of water sports as well as hiking trails. 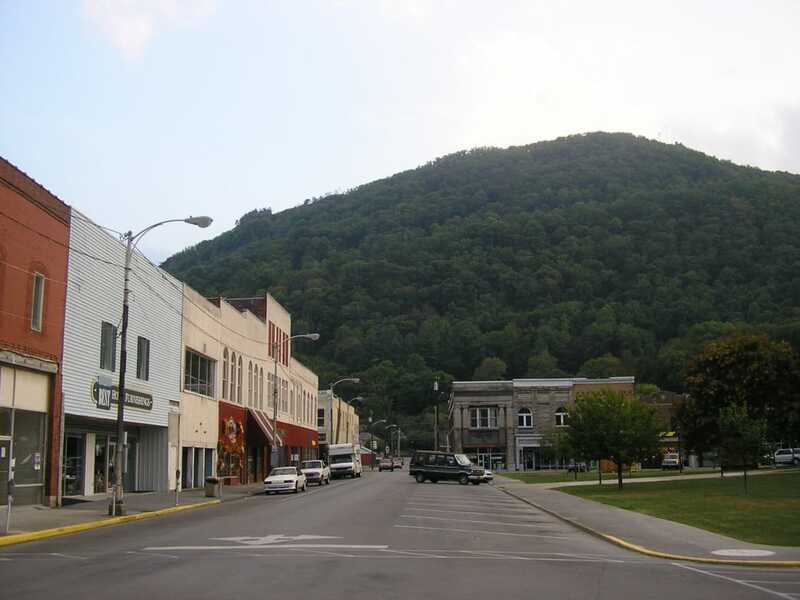 Downtown Pineville, Kentucky, which marks the start of the Pine Mountain State Scenic Trail. 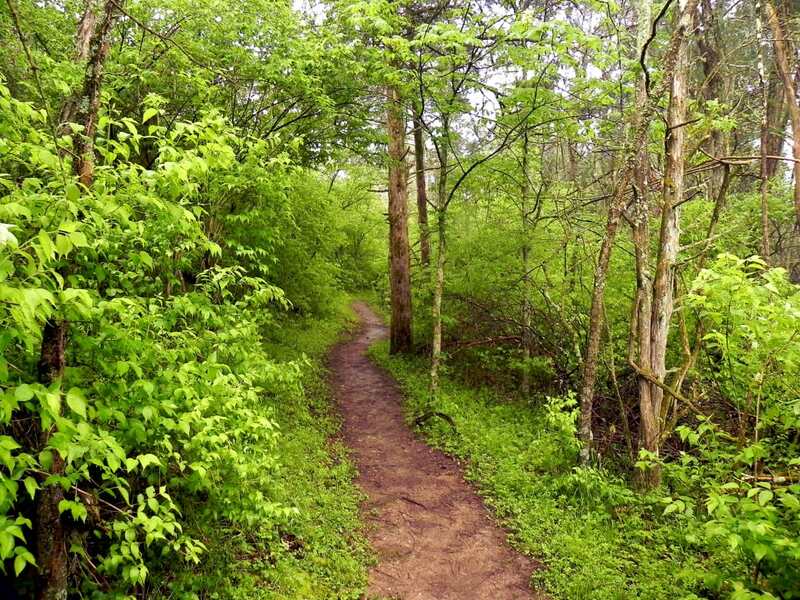 One of the hiking trails at Raven Run Nature Sanctuary. 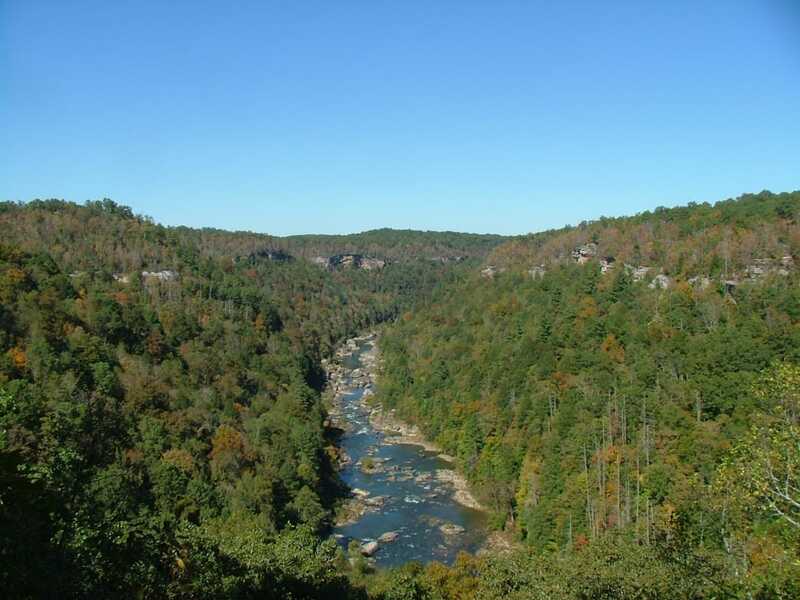 A view of Honey Creek in the Big South Fork National River and Recreation Area. 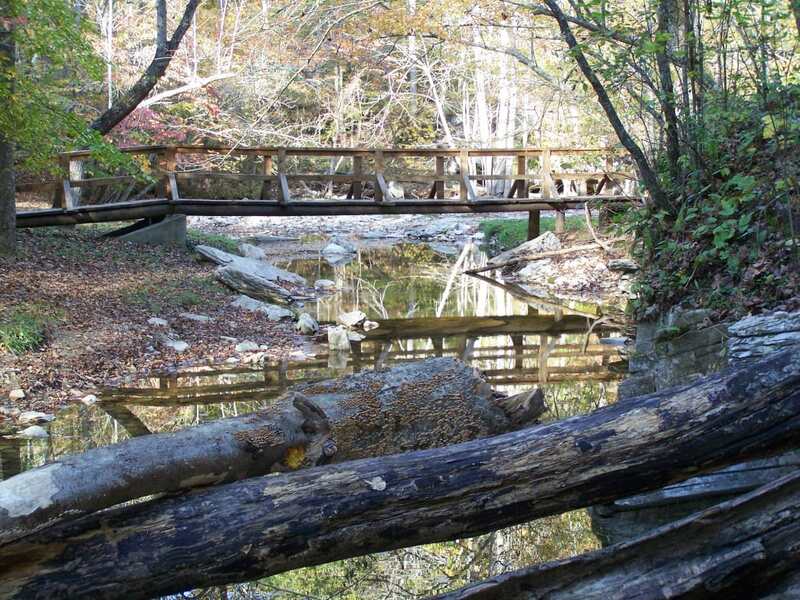 Carter Caves State Resort Park offers more than 26 miles of wooded trails. 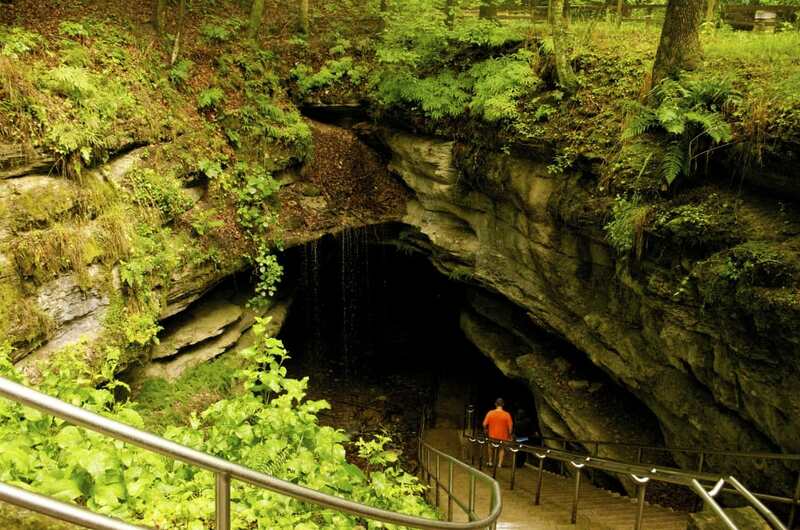 Mammoth Cave National Park offers interesting trails both below and above ground.